We’ve been hard at work since launching the new Campaign Manager last year. 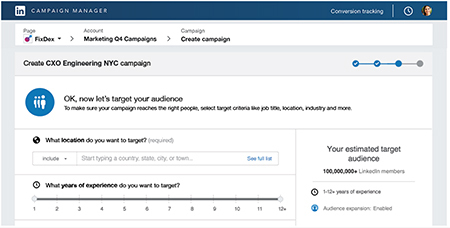 Now we’re rolling out several new features to make it even easier for marketers to manage and optimize their campaigns on LinkedIn. These releases are just some of the many advertising platform enhancements we’ll make in 2016 to help marketers better engage LinkedIn’s audience of over 433 million influencers and business decision-makers. With that, here are some new tools and features we are adding to Campaign Manager. We know that thinking through and customizing a target audience for very specific marketing objectives can take some time, especially for people who manage many Sponsored Content, Sponsored InMail, or Text Ads campaigns. Advertisers will soon be able to save a targeted professional audience for reuse on other campaigns, which should save you time when setting up your targeting. Starting in early June, advertisers will see a “Save audience as template” section at the bottom of the Audience page, which is where you set up your campaign targeting. This option will allow you to save all selected targeting facets as a template. You can apply that template to any future campaigns across any account you have access to, without having to manually enter your targeting criteria multiple times. Advertisers will be able to organize their templates by adding a name and brief description. After creating a template, advertisers can apply it to another campaign through the dropdown at the top of the Audience page when creating or editing a target audience. You will be able to update and customize the audience even after applying a template. By the end of the month, advertisers will be able to extend the lifetime of their campaigns or hide them from view. Much like saving your targeting as a template, restarting completed campaigns is a time-saving feature that can make advertising on LinkedIn much simpler. We are excited to announce that these features are available for Sponsored Content, Text Ads, and Sponsored InMail. How can you restart a completed campaign? After a campaign has passed its end date or total budget, you can restart the campaign by clicking the status toggle of that campaign. You will be prompted to update end dates, budgets, or bids if necessary to turn the campaign back on. This will allow you to keep the performance history of successful campaigns and extend their lifetime. 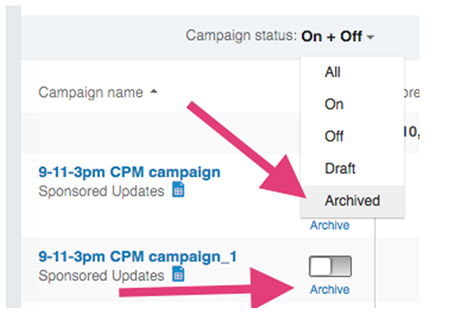 In addition, campaigns that are no longer needed can be easily hidden from view by clicking on the “Archive” link below the status toggle. You can find all your archived campaigns in the Status filter. Campaigns now have even more room to grow. We’re increasing the limit of ads per campaign to 100 for all ad types and with no restrictions on how many can be active or paused. With more options for ads to use in a campaign, advertisers will have increased flexibility to experiment with messages that connect with their audiences. Finally, members can now like comments on Sponsored Content and organic company updates. In addition, we will soon provide the ability to share or reply to specific comments. This will help members discover relevant content, offer more engagement with brands, and increase the virality of content that marketers are posting to LinkedIn. We’re excited to enable members to better engage with advertisers, ask questions, and share their thoughts. We are excited to announce that we’ll be introducing a new targeting facet under the “Audience” tab of the Campaign Manager, which will allow you to reach a target audience based on years of professional experience. At launch you’ll see a new “years of experience” icon, which will allow you to target a specific years of experience range. We are targeting early June for global availability. 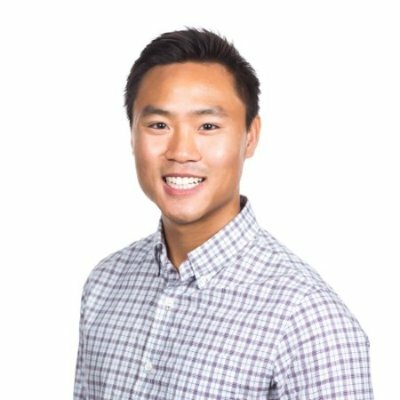 All of these new features to Campaign Manager reinforce our commitment to offer the most comprehensive B2B platform that strives to transform how companies connect with with the right professionals at the right time. Ready to try out some of these new features? Start managing your campaigns in Campaign Manager today! For more information on how to leverage the LinkedIn platform for content marketing, download the LinkedIn Content Marketing Tactical Plan ebook today.